Why Are You Getting Sleepy After Eating? Why Do I Get Sleepy After I Eat? You probably have felt sleepy after eating, especially after lunch. It is usually very disturbing especially if you are supposed to work in the afternoon. Some say its tiredness, drowsiness, mid-afternoon lull or fatigue. Most importantly, the issue is usually the same. It is very normal to feel sleepy following a heavy meal intake. However, if you get to a point of sleeping every time you take a meal, it could be the result of some health complication that needs to be addressed. When you finish eating, especially those sugary diets, the pancreas responds by producing insulin needed for digestion of sugars for assimilation into the cells of the body. Increased insulin levels trigger the movement and working of tryptophan, a vital amino acid inside the brain. These important amino acids cannot be created through the body and should be formed from the diet you take. Tryptophan agitates the secretion of serotonin that is a neurotransmitter passing electrical signals in between neurons. Most of the serotonin is deposited in the abdomen from where it controls intestinal movements. The other portion is found in the mind. Serotonin controls sleep and moods and has been linked to intimacy feelings and depression as well. Increased serotonin levels are simulated after the intake of a sugary meal, hence leading to sleepy after eating. Large meals go through a long digestion period and hence blood takes up this function and drifts from others. Food types: Your body does not easily digest processed foods, refined carbohydrates, sweets and high fat foods. The body responds to eaten food by breaking it into smaller components that can be assimilated into the blood to nourish and energize your body cells. Healthy food types permit nutrients to be directly delivered to re-energize your body in order for it to function well. French fries and such foods as cookies lack sufficient nutritional value, which seem to give you fast energy, but do not gratify your hunger for a long time, consequently making you feel sleepy after eating. A lot of eating may also cause drowsiness. Allergies to foods: It is possible that you could be eating well and yet getting sleepy after eating. This could be a result of food allergies. Celiac condition is usually a food allergy to what is known as gluten found in various foods such as barley and wheat among other foods. These allergies as a result of some foods cause a lot of gas, diarrhea, bloating or constipation along with fatigue. Eating plan: Many individuals don’t take breakfast which is believed to be the most important meal of the day. 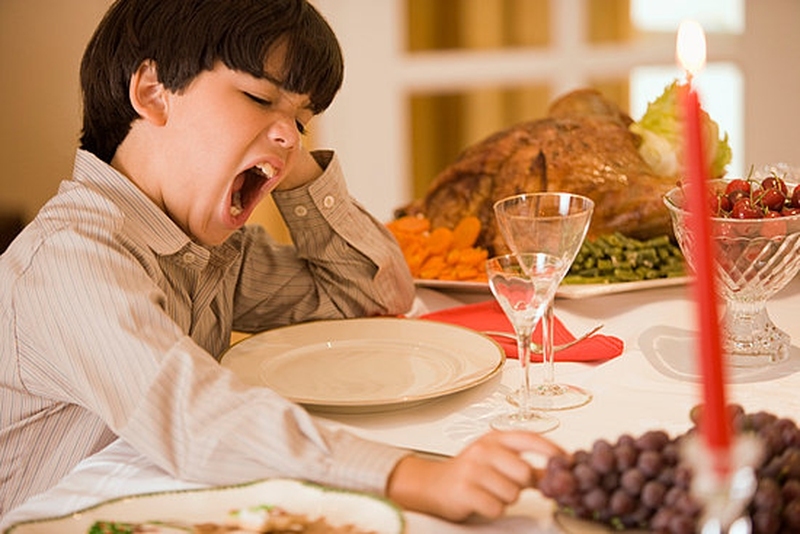 Skipping it or any other meal may cause tiredness and weakness. This leads to poor choices of foods when you feel hungry in the course of the day – grabbing what is available, especially the fast foods. These unhealthy diets worsen your condition. Nutrient-deficient diets: Some people see undigested foods in stool. This could be a result of some deficiency of nutrients where your body is not able to process the taken nutrients in the food. Insulin issues: Some individuals are not able to regulate insulin secretion and its proper use. For those with excessive issues, it can lead to diabetic conditions along with other complications such as weakness, dizziness and headaches. Don’t skip meals, especially breakfast, since it sets the standard of energy for your day. Choose healthy foods like cereals and wholegrain breads, yoghurt and fruits to give you sufficient energy for the day. When you eat well in the morning, the temptation of rushing for cheap unhealthy meals is usually not there, especially during lunchtime. This increases your mental and physical welfare all day long. A study conducted from Cardiff University found out that regular eating of cereals for breakfast can reduce the levels of cortisol stress hormone. Therefore, it is yet another reason to eat healthy breakfast. Fast food is, in most cases, junk diet with lots of salts, fats, preservatives, flavor enhancers and sugars. The taste may be good and may look like it is a boost to your energy. However, it only gives you calories without nutrients and is not healthy for you. The food will take your entire afternoon while you get sleepy after eating. Well, those sweet buns, muffins, cakes and croissants together with pasta meal are all inducers of sleep. Gabe Mirkin, MD, highly recommends avoiding pasta, baked goods and pastries if you want to remain awake since their high sugar and flour content causes sleepiness. Take foods that are not processed in most cases for a healthy diet that will make you awake after lunch. Low-carb vegetable option: Green beans, mustard greens, sprouts, radicchio, lettuce, mushrooms, sea vegetables, avocado, broccoli, bok chov, carrots, pumpkin, celery, bell peppers, cucumbers, radishes, onions, water chestnuts, summer squash, tomatoes, zucchini, artichokes and bamboo shoots among others. Low-fat options: Nuts, whole grains, beans and soy. A lot of food takes a lot of effort to breakdown. Your blood is forced to shift all its function to digestion, causing a situation where less nutrients and oxygen reaches the brain in the process of digestion causing your body to feel weak. Wine and beer are calming, and small portions of these drinks will leave you exhausted for the rest of the day. Unless it is on a special occasion or for a celebration, they should be utterly avoided during lunch, especially if you are going to work that afternoon.